Many boat insurance policies also cover labor costs for repairing and/or replacing your boat and associated equipment. And most policies provide basic liability coverage. Liability isn’t required by Georgia law, but you risk losing everything without some degree of liability protection. Does Georgia Law Require Boat Insurance? If you purchase boat insurance through an Choice Insurance carrier, you may qualify for discounted rates if you already have other policies with us. Whether you’re already an Choice Insurance policyholder or not, ask us about multiple-policy discounts for bundling boat insurance with other policies. A comprehensive boat insurance policy from Choice Insurance Services will help shield your assets against unexpected trouble on the waters. If you’re shopping for boat insurance in Houston County we’d be thrilled to hear from you. As an independent insurance agency in Warner Robins, Georgia, we partner with numerous insurance carriers, and can do the shopping around for you! We’ll answer all your questions about boat insurance and help you make informed coverage decisions. 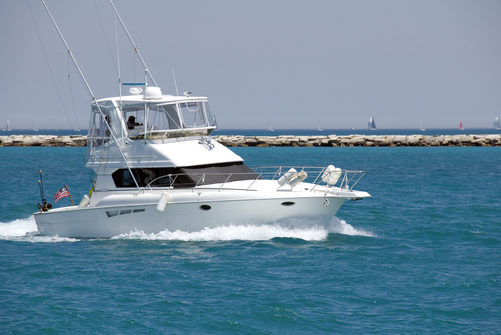 For a free boat & watercraft insurance quote, call Choice Insurance today at 478-333-3375. For a free online boat insurance quote, just fill out the form on this page. We can’t wait to get you sailing along with comprehensive coverage!